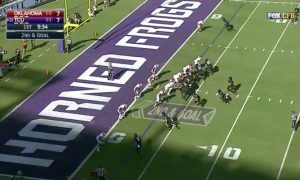 Arkansas knocked off #15 TCU in overtime on a five-yard run from quarterback Austin Allen, who had some help from some teammates on the play. 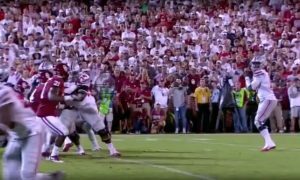 Allen finished the game with 223 yards passing and three touchdowns, while Arkansas running back Rawleigh Williams III ran for 137 yards on 28 carries. Kenny Hill had another big game for TCU at quarterback, completing 36-of-his-56 attempts for 377 yards and a touchdown and rushing for 93 yards and two touchdowns.